All spouses react differently when a divorce becomes imminent. Some file divorce papers within days, while others remain separated for months or years before beginning to consider an official divorce. If you are among the latter group, it is completely possible that you actually don’t even know the whereabouts of your soon-to-be ex-spouse. Assuming you have both moved on with your lives throughout a long separation, the biggest challenge to obtaining a divorce could be locating your ex. Judges are actually now acknowledging this difficulty by allowing divorce papers to be served on the social media giant Facebook, rather than in-person. This marks a major step into the technological world for process serving, but it does make sense. 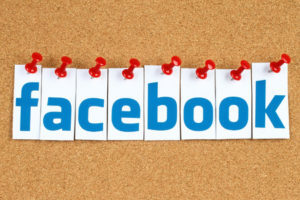 Most people maintain their Facebook profiles regardless of the other changes in their lives, leading Facebook to become considered an “online home address” for those who cannot be physically found through ordinary means. This trend first began in 2015 with the divorce case of Ellanora Baidoo, whose husband had been estranged from her for seven years. Even with the help of a private investigator, Baidoo could only track down the cell phone number and Facebook address of her husband, so she asked permission to serve her divorce papers to Victor Blood-Dzraku through Facebook. The judge agreed by explaining that the “advent and ascendency of social media” has transformed social media sites into the “next frontier” of paper deliverable methods. The growth of Facebook as a player in the process serving world has been controversial. Proponents explain that it provides a more reliable and affordable alternative than posting a legal notice in a local newspaper, and also allows for a layer of accountability due to Facebook’s confirmation of received messages. Opponents of Facebook for process serving, however, point out that it can be tricky to prove that the account belongs to the person in question. The courts allowing Facebook for divorce notices contend that Facebook allows the same level of privacy as a public newspaper. While other spouses have followed Baidoo’s example, Facebook is expected to remain a last resort of service for the time being.